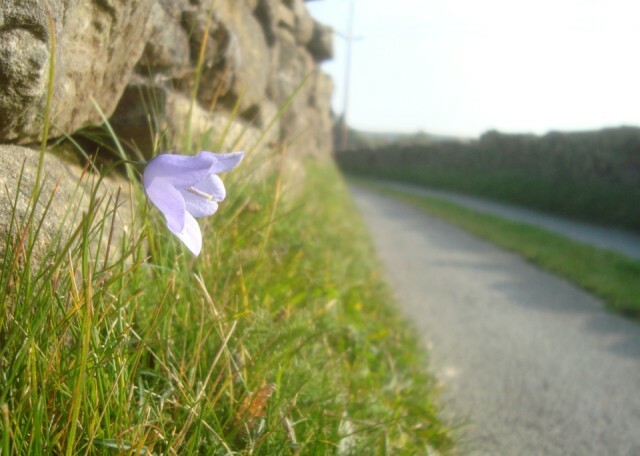 The harebells are still going strong along Sconce Lane, a valuable source of nectar in early autumn. In sort of reverse, truncated version of last Sunday's walk the sun was shining but the temperature had dropped by a few degrees. Butterflies encountered included Speckled Wood, Small Tortoiseshell, Red Admiral and Comma along with a single Silver-Y moth, five species to last weekend's seven. For birds we had a noisy flock of 50+ Goldfinches on the moor, a Little Owl at Birch Close Lane and a couple of Buzzards over Weecher.